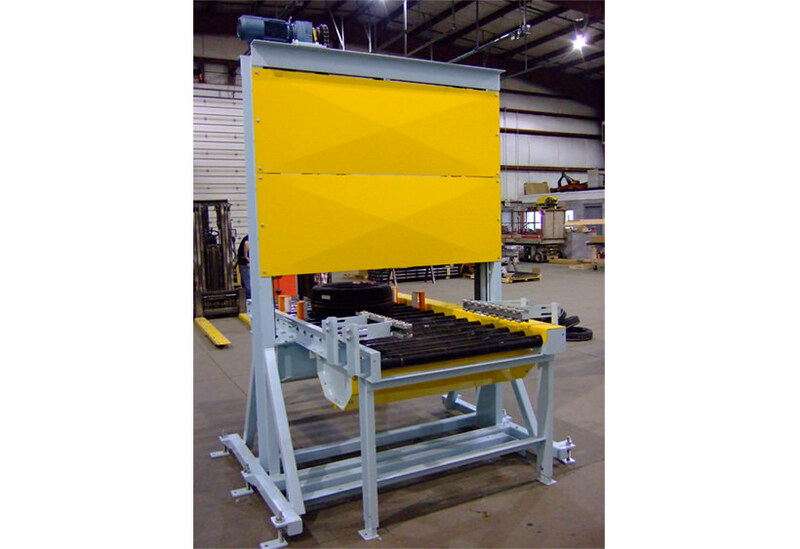 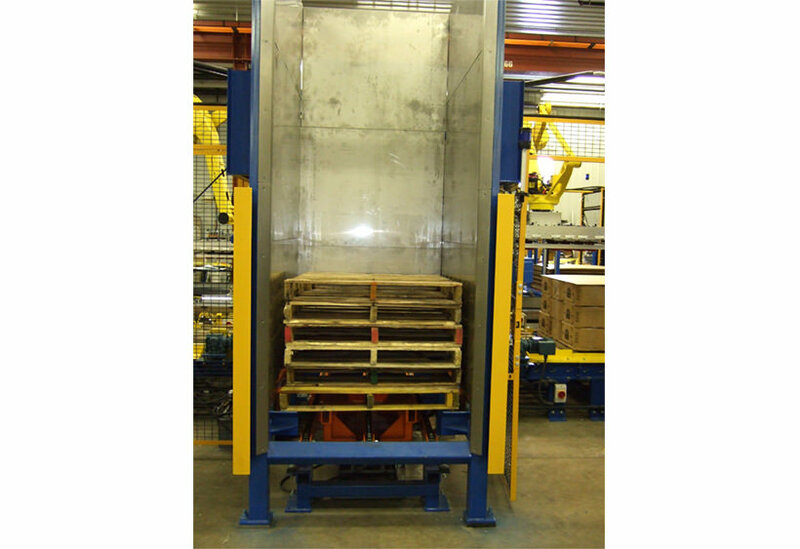 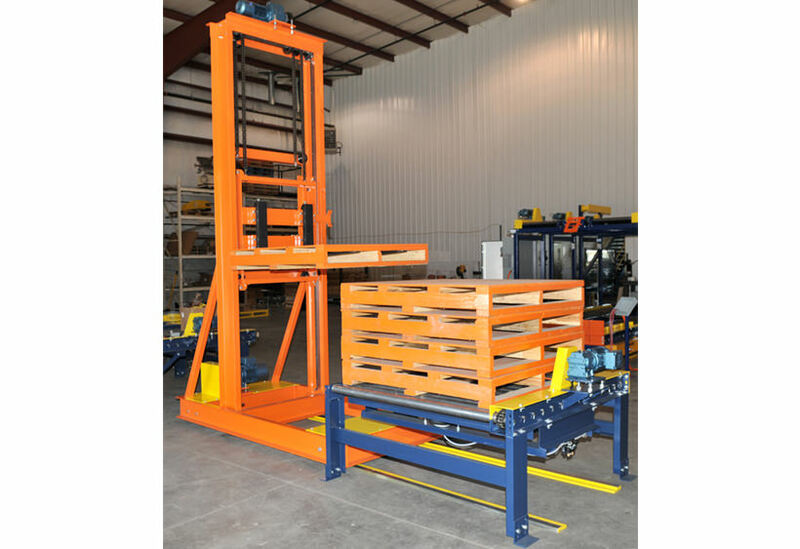 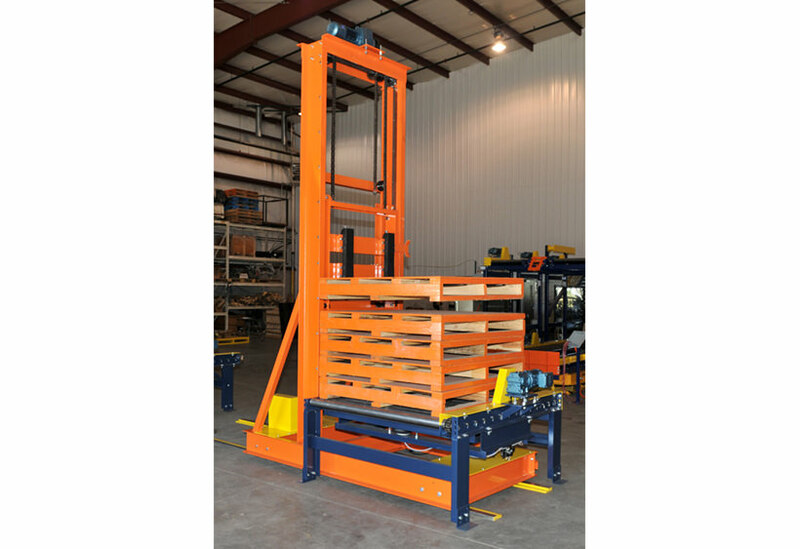 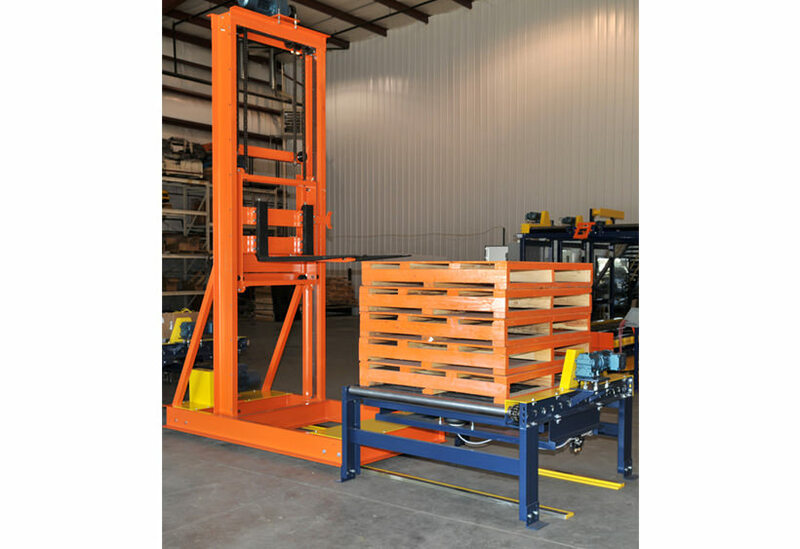 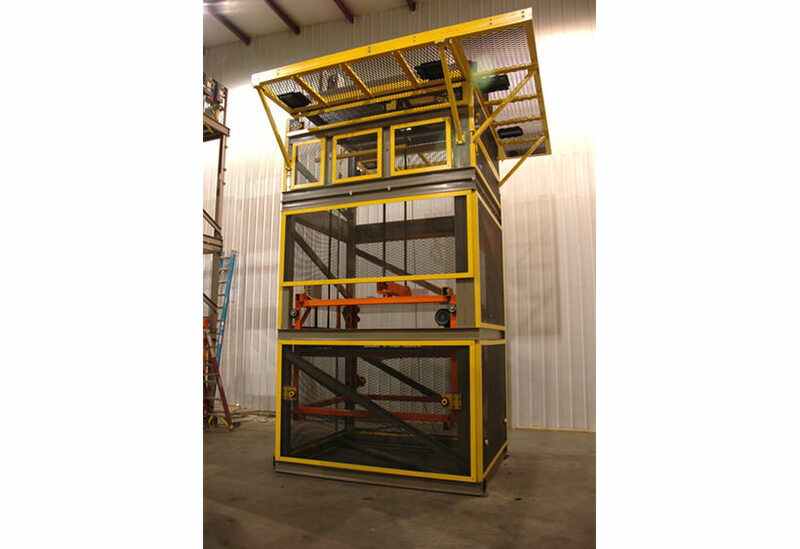 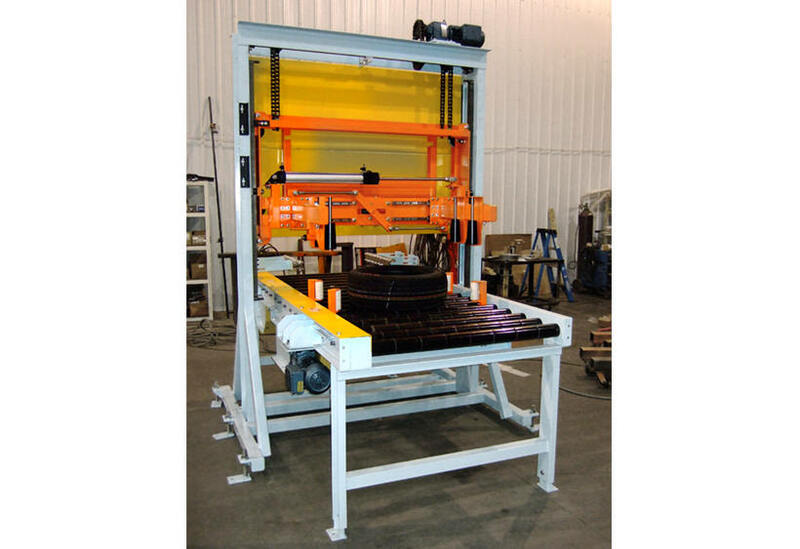 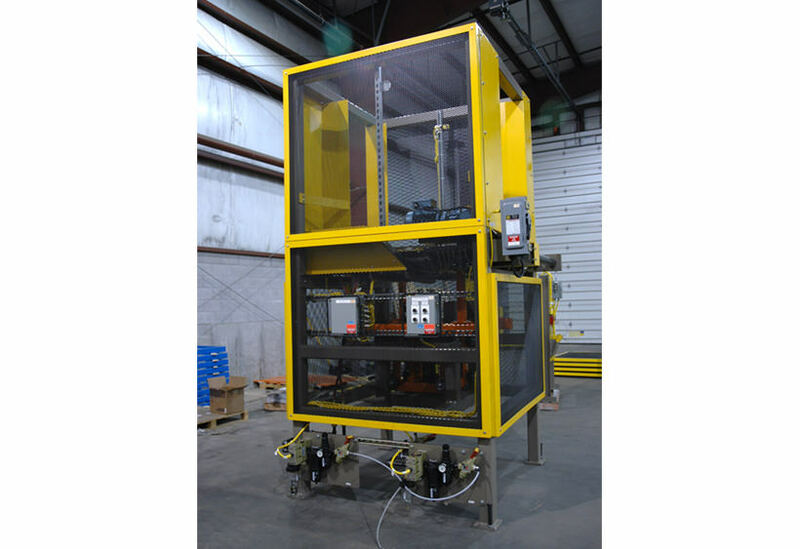 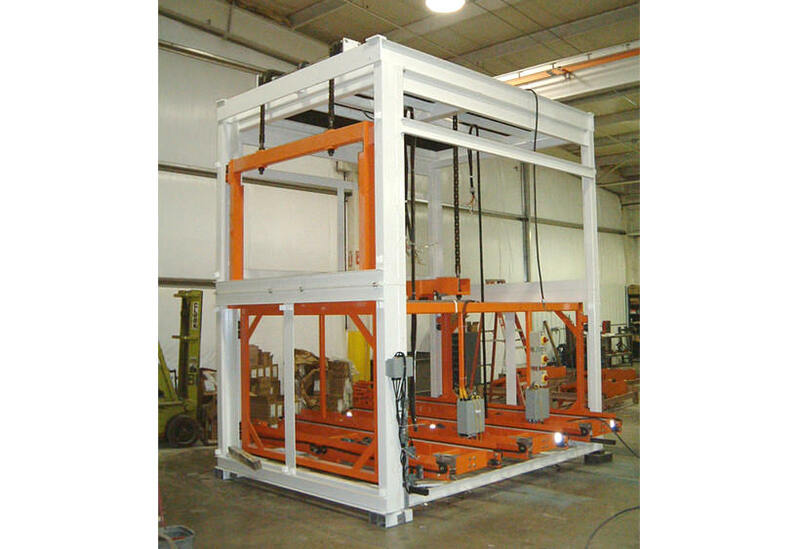 Vertical lifts and stackers are custom designed to meet specific applications. 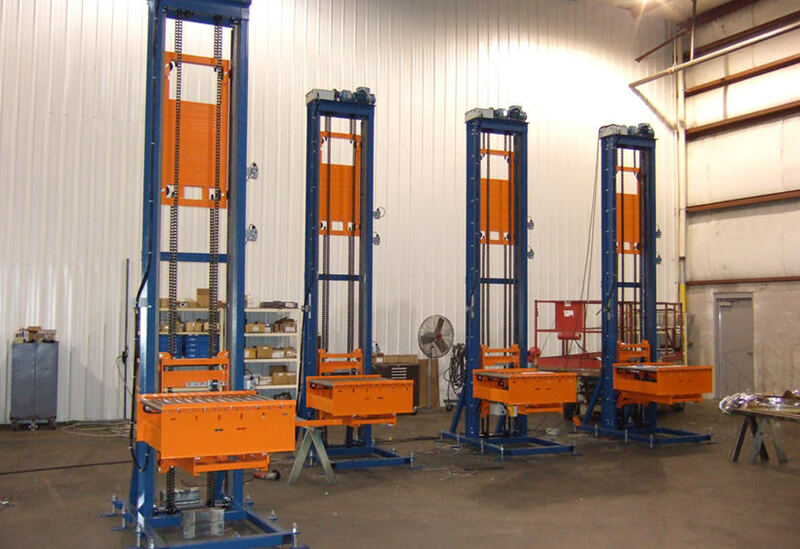 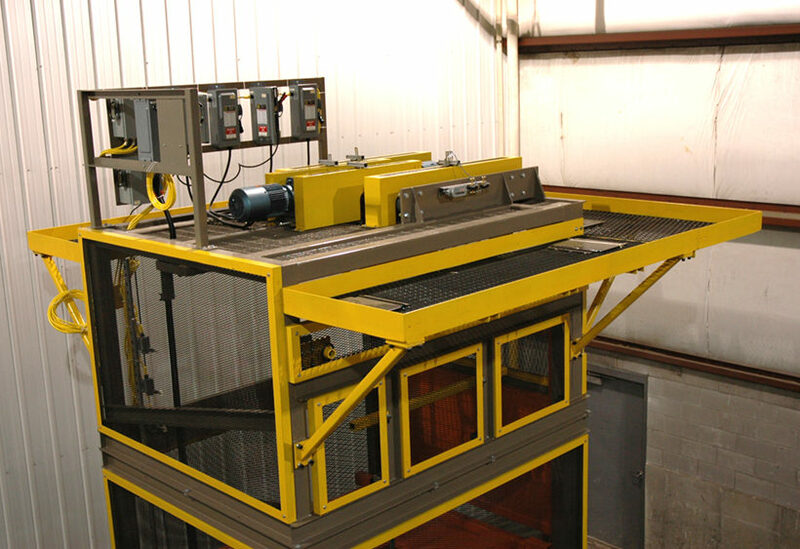 Lifts move products from one level to another, receiving from or sending to another conveyor at different elevations. 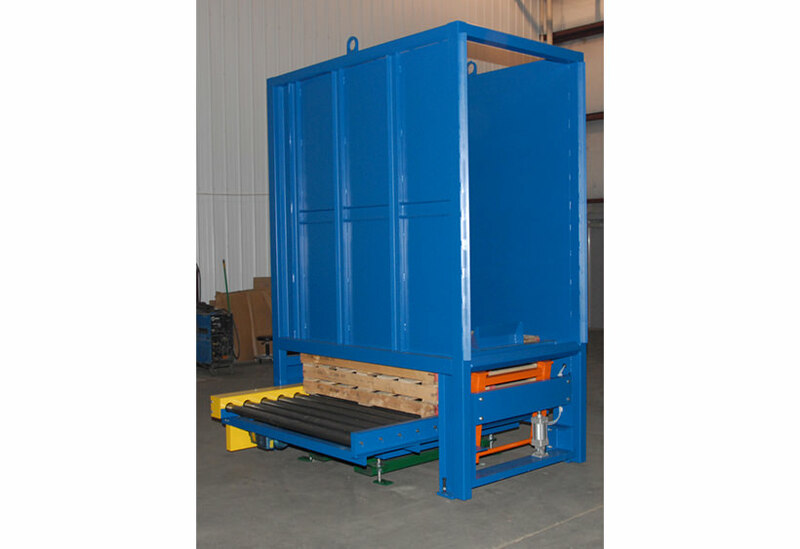 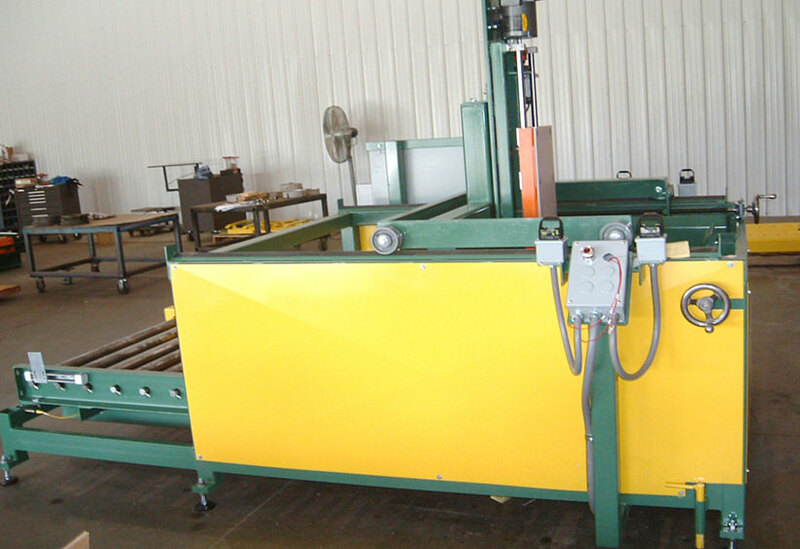 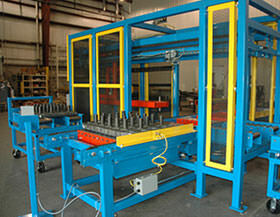 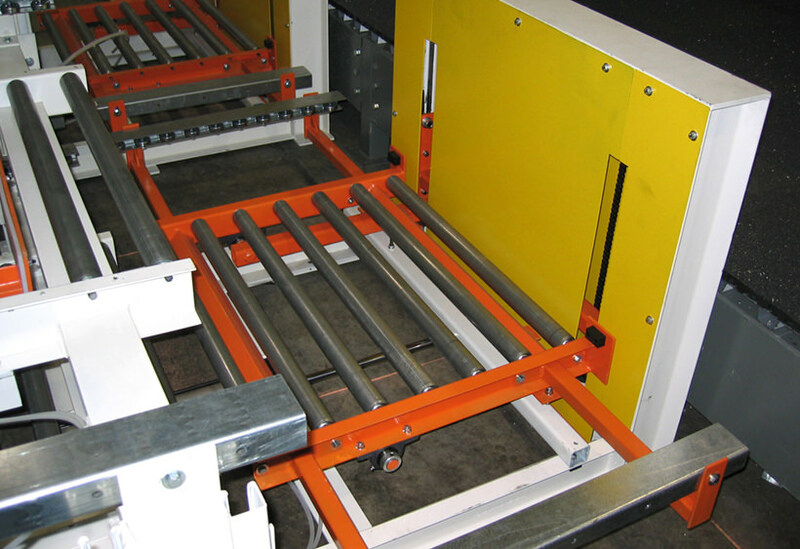 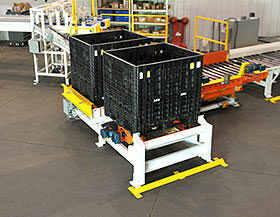 Stackers/Destackers are used to automatically stack or destack products such as pallets, racks, totes, or tires. 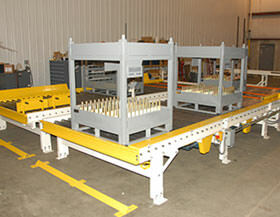 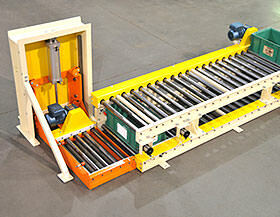 Lifts, stackers, and destackers are available in pass thru flow and 90° flow.